When your skin is damaged because of illness or injury, a scar may be left behind long after you heal. Scars vary in size from barely noticeable to quite large and bothersome. While scars aren’t a medical health risk, many people find them unsightly and want to get them treated for cosmetic reasons. If you decide to havescar removal in San Jose , the process will depend on the nature and severity of the injury. A scar is simply evidence that your skin has undergone a healing process. Whenever tissue suffers significant damage, whether through physical trauma or through illness, a scar will be left behind. Scars are caused by structural changes that occur in the deep layers of skin that result in a change in the normal surface appearance of the top layer of skin. Many factors determine how large and severe a scar appears, including the nature of the injury, the location of the wound, and your genetic predisposition to scarring. Oftentimes, scars in areas where skin is tight or where there is movement appear to be worse. Poor wound healing can also lead to severe scarring, including keloid scars , which are red, thick scars that are often itchy and frequently grow to be larger than the original wound. A device similar to the one used for laser hair removal can help with scar removal. 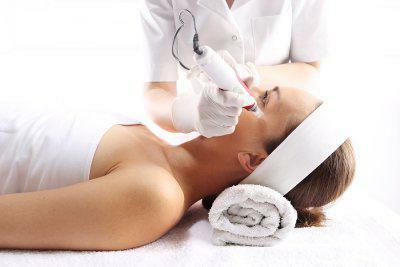 Laser skin resurfacing can reduce the appearance of scars without any downtime and few side effects. As with hair removal, it is often necessary to have more than one laser session to achieve the best results. Cosmetic service providers, such as those who perform Botox injections, can often provide laser treatment for scar removal as well. Large, thick scars, such as keloid scars, may not respond to laser treatment and may require a steroid injection into the scarred tissue instead.